Stephen Wilson Stafford was the owner of a small Winston-Salem market. Lyons entered the store, robbed Stafford and shot him to death. The day after the robbery, accomplice Derick Hall turned himself in to police and later testified against Lyons, along with an eyewitness who saw Lyons leave the store, gun in hand, immediately after the shooting. Lyons was improperly released from prison shortly before murdering Stephen, who was shot to death in his store on September 25, 1993. Lyons has a long criminal history. On April 16, 1993, Lyons was convicted of numerous counts of injury to property, larceny and issuing forged checks. He was sentenced to more than 17 months in prison. However, he was improperly released from prison on May 17, 1993, according to court documents. Five weeks after his release, Lyons was arrested on armed robbery charges under the alias of Robby James Johnson. Although authorities knew his real name, Lyons received a plea bargain and three years probation. He was released again on August 10, 1993. Authorities had another chance to keep Lyons behind bars. Lyons was arrested yet again for failing to appear in court for a shoplifting charge in September 1993. He posted a $50 bond and was released. Four days later, Lyons fatally shot Stafford during the robbery. Pizza and lasagna, both with meat that was prepared in accordance with Islamic law, and a Pepsi. "If my death brings another person happiness, then I'm happy for them." 12/5/2003 - Lyons executed. Pronounced dead at 2:17 a.m.
10/22/2003 - Correction Secretary Theodis Beck sets an execution date of December 5, 2003. 10/6/2003 - U.S. Supreme Court denies Lyons petition for a writ of certiorari. 4/4/1996 - North Carolina Supreme Court affirms Lyons' conviction and death sentence. 5/6/1994 - Robbie James Lyons sentenced to death in Forsyth County Superior Court. RALEIGH- Witnesses have been named for the execution of Robbie James Lyons, who is scheduled to die by lethal injection Dec. 5 at 2 a.m. at Central Prison in Raleigh. RALEIGH - Correction Secretary Theodis Beck has set Friday, Dec. 5, 2003 as the execution date for death row inmate Robbie James Lyons. The execution is scheduled for 2 a.m. at Central Prison in Raleigh. Lyons, 31, was sentenced to death on May 6, 1994 in Forsyth County Superior Court for the September 1993 murder of Stephen Wilson Stafford. In addition, Lyons received a 30-year sentence for armed robbery. A media tour is scheduled at Central Prison on Monday, Dec 1. Interested media representatives should arrive at Central Prison’s visitor center promptly at 10 a.m. on the tour date. Warden Marvin Polk will explain the execution procedures. The session will last approximately one hour. This will be the only opportunity to photograph the execution chamber and death watch area before the execution. Robbie Lyons was sentenced to die for a 1993 murder in Forsyth County. 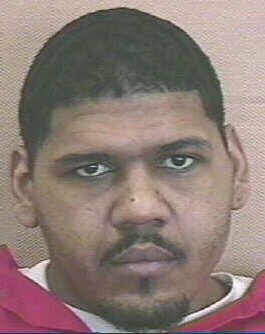 Robbie James Lyons, 31, is scheduled to die by lethal injection at 2 a.m. at Central Prison in Raleigh. Lyons in 1994 was sentenced in Forsyth County Superior Court to die for the slaying of Stephen Wilson Stafford, the owner of a Winston-Salem store. Lyons also received a 30-year sentence for armed robbery. Lyons was improperly released from prison shortly before murdering Stephen, who was shot to death in his store on September 25, 1993. Lyons has a long criminal history. On April 16, 1993, Lyons was convicted of numerous counts of injury to property, larceny and issuing forged checks. He was sentenced to more than 17 months in prison. However, he was improperly released from prison on May 17, 1993, according to court documents. Five weeks after his release, Lyons was arrested on armed robbery charges under the alias of Robby James Johnson. Although authorities knew his real name, Lyons received a plea bargain and three years probation. He was released again on August 10, 1993. Authorities had another chance to keep Lyons behind bars. Lyons was arrested yet again for failing to appear in court for a shoplifting charge in September 1993. He posted a $50 bond and was released. Four days later, Lyons fatally shot Stafford in a grocery store robbery. The murder occurred at the market Stafford owned, Sam's Curb Market. A woman, Victoria Lytle, witnessed the aftermath of the shooting. In addition, an alleged accomplice testified against Lyons. Lytle said that after getting out of her car, she noticed two men on the street. She went into the store to buy soda and saw Derick Hall enter the store. She also noticed Lyons outside the store. After Lytle left the store, she heard three gunshots. She saw Lyons run out of the store with gun in hand. Hall later testified that he did not know Lyons planned to rob the store. Hall said that Lyons carried a long barrel .22 caliber gun when entering the store. Hall testified that as he and the Lyons approached the store, Lyons told him that he needed money and that he was going to rob the store. Hall did not believe Lyons was serious, court documents stated. After Victoria Lytle left the store, Lyons entered and told the victim to freeze and turn around. Hall also claimed he obeyed the command in order to demonstrate that he had no part in the robbery. Hall testified that he then heard five shots, and when he turned around, the defendant was gone and the victim was lying on the floor. Hall further testified that the victim was grunting in an effort to speak and that the victim reached up and pushed the burglar alarm before collapsing back on the floor. The next day, Hall voluntarily turned himself in to the police, court documented stated. Court documents indicate that Lyon's lawyer did not offer any evidence during his client's trial. At sentencing, a psychologist testified that Lyons' suffered from bipolar disorder, antisocial personality disorder and substance abuse. RALEIGH -- Robbie James Lyons was executed early this morning for the 1993 shooting death of a Winston-Salem convenience store owner. Late Thursday, Gov. Mike Easley denied Lyons' clemency petition, which raised concerns that poor legal representation and racial bias contributed to his death sentence. The Rev. Jesse Jackson sent a letter asking Easley to commute Lyons' sentence to life in prison, citing Lyons' childhood of violent beatings and drug abuse. "I have the deepest sympathy for the victims of violent crime and their families and loved ones left behind -- but the death penalty is not the best way to acknowledge their grief," Jackson wrote. Lyons, 31, was sentenced to die by lethal injection for the killing of Stephen Stafford, 48, during an armed robbery at his store Sept. 25, 1993. Lyons was the seventh inmate on death row executed this year, the most in one year in North Carolina since 1949, when 10 people were put to death. Forsyth County prosecutors dismissed the issues raised by Lyons' defense lawyers. They portrayed Lyons as a violent man who showed no remorse about the killing and had not changed his ways. Their proof: Lyons was placed in solitary confinement last month after assaulting a prison guard, disobeying an order and using profanity. "Lyons remains an evil, violent person," said Ramona Stafford, the victim's widow, who was scheduled to be among the execution witnesses along with her two children, Stephanie and Dwayne, and other relatives. Stephen Stafford was a loving husband, a caring father and someone who tried to help the community around his store, his widow said. "He had more IOUs in his cash drawer than he did cash," Ramona Stafford said. For his last meal Thursday, Lyons drank a Pepsi and ate a pizza and lasagna, both with meat that was prepared in accordance with Islamic law. One of Lyons' lawyers, Kirk Osborn of Chapel Hill, said prosecutors kept all but one black woman from serving on the jury. He also pointed to a study that shows that black people are 3 1/2 times more likely to get the death penalty in North Carolina if their victim is white and 2 1/2 times more likely in Forsyth County. "A black murdering a white person is behind the eight ball to begin with," Osborn said. Lyons had one experienced lawyer, Osborn said, but the lawyer who gave the opening argument and questioned all the witnesses was a primarily a real estate lawyer who only met with Lyons once before the trial. However, Forsyth Assistant District Attorney David Hall insisted that Lyons' legal representation was "excellent." One of Lyons' lawyers had previously handled nine death penalty cases, all of which resulted in life sentences. The other, the real estate lawyer, had prosecuted murder cases while in the military and was an excellent trial attorney, Hall said. RALEIGH (AP) - December 4, 2003 - A death row inmate prepared for execution early Friday after Gov. Mike Easley refused to commute his sentence for the shooting death of a grocery store worker a decade ago. Easley said Thursday night he found no reason to reduce the sentence of Robbie James Lyons to life in prison, eliminating the prisoner's final chance to avoid the death penalty. "Having carefully reviewed the facts and circumstances of this crime and conviction, I find no convincing reason to grant clemency and overturn the unanimous jury verdict affirmed by the state and federal courts," Easley said in a news release. Lyons, 31, was scheduled to be executed by injection at 2 a.m. Friday for the pistol slaying of Stephen Wilson Stafford. The victim was shot to death as Lyons attempted to rob Stafford's store in Winston-Salem on Sept. 25, 1993. Lawyers for Lyons said they were relying on a clemency petition filed with Easley and wouldn't file court appeals. The Rev. Jesse Jackson sent Easley a letter urging clemency for Lyons. "I have the deepest sympathy for the victims of violent crime and their families and loved ones left behind - but the death penalty is not the best way to acknowledge their grief," the letter said. Jackson said Lyons suffered frequent beatings as a youngster and at an early age was forced to drink alcohol, smoke marijuana and use crack cocaine. "By granting clemency in this case you would be setting an example of courage over cowardice, of humanity over brutality," Jackson wrote, adding that two previous commutations were in the best tradition of justice. Relatives of the prisoner arrived late in the day at Raleigh's Central Prison to begin visitation, the first and only physical contact Lyons has had with them since he was sent to death row in 1994. He also met with his attorneys. Lyons had a last meal Thursday of pizza and lasagna, both made to follow Muslim dietary rules, and a Pepsi, the Correction Department said. Easley met with lawyers for Lyons as well as prosecutors and Stafford's family on Wednesday to hear arguments for and against clemency. Lyons would be the seventh inmate executed this year, the most in North Carolina since 1949 when 10 people were put to death. Lyons confessed to shooting his victim with a .22-caliber pistol, a shooting that a witness also saw and testified about. Witnesses planning to watch Lyons die included Stafford's widow, Ramona, and two children, Stephanie and Dwayne Stafford, 25, and two other relatives. "I without a doubt believe he should be executed," said 24-year-old Stephanie Stafford. "Lyons took away happiness from my family." Ramona Stafford said Lyons showed no remorse over shooting her husband with a .22-caliber pistol and that she would mistrust any apology he might offer. Lyons' two state-appointed lawyers, Kirk Osborn and Ernest Conner, also planned to watch the execution. They have argued that Lyons didn't have good legal representation when he was charged and tried and that he has a mental defect. But Assistant District Attorney David Hall, also a witness, said Lyons has an IQ of 110 and was a violent individual, a fact he said was proven by the 50 disciplinary infractions Lyons has had since coming to death row. In the latest infraction, said defense lawyer Conner, Lyons was put in solitary confinement after hitting a guard in the eye. But Conner said that happened when Lyons was upset after being informed of his execution date and then a guard pushed him. Three media witnesses also were scheduled to watch the execution: Paul Garber of the Winston-Salem Journal, Pam Saulsby of WRAL-TV in Raleigh and Estes Thompson of The Associated Press. The state of North Carolina is scheduled to execute Robbie Lyons, a black man, Dec. 5 for the 1993 murder of Stephen Stafford in Forsyth County. Mr. Lyons was raised in a shockingly abusive household and was introduced to illegal substances at the age of four. This case is an excellent example of how the state is deficient in funding child protective services, and how such a tragedy could have been prevented with timely intervention and treatment. A mitigating factor that was not presented in trial is found in the affidavit of Lyons’s mother stating that she would have testified to the following: She was 18 years old when she gave birth to Lyons; she did not know she was pregnant until her ninth month; Lyons grew up in scarred by an abusive grandmother who would beat him with broom sticks, wire hangers, and switches. Lyons was exposed to illicit drugs at an early age and his great aunt, one of his primary care givers, regularly supplied Lyons with moonshine. It has been proven time and time again that abuse neglect and drug use in early childhood can cause violent behavior later on in life. Dr. Robert L. Dupont talks about how drug abuse can lead to violence. “The intoxicated brain is an impaired and a ‘selfish brain.’” This intoxicated impairment quite literally leads people to commit impulsive, destructive crimes, including crimes of violence. While Mr. Lyons should be held accountable for his crime, he should not be killed. Please contact Governor Michael F. Easley and urge him to commute Robbie Lyons’ sentence to life in prison. RALEIGH, N.C. - A man who was mistakenly released from prison and later killed a store owner during a robbery was executed by lethal injection at the state prison early Friday morning. Robbie Lyons, 31, became the seveth convicted killer executed in North Carolina in 2003. Lyons was concivcted of the 1993 murder of Stephen Wilson Stafford, who was shot to death in his store in Winston Salem. Lyons' last meal consisted of a pizza, lasagna and a Pepsi. "If my death brings another person happiness, then I'm happy for them," Lyons said just before the lethal drugs entered his body. Lyons had entered the death chamber just after 2 a.m.
Lyons had a long criminal history. Court documents state that boondoggles led to his mistaken release from prison just before the murder. On April 16, 1993, Lyons was convicted of numerous counts of injury to property, larceny and issuing forged checks. He was sentenced to more than 17 months in prison. However, he was improperly released from prison on May 17, 1993, court documents stated. However, five weeks after his release, Lyons was arrested on armed robbery charges under the alias of Robby James Johnson. Although authorities knew his real name, Lyons received a plea bargain and three years probation. He was released again on August 10, 1993. Authorities had another chance to keep Lyons behind bars. Lyons was arrested AGAIN for failing to appear in court for a shoplifting charge in September 1993. He posted a $50 bond and was released. Four days later, Lyons fatally shot Stafford in a grocery store robbery. The murder occurred at the market Stafford owned, Sam's Curb Market. A woman, Victoria Lytle, witnessed the aftermath of the shooting. In addition, an alleged accomplice testified against Lyons. Lytle said that after getting out of her car, she noticed two men on the street. She went into the store to buy soda and saw Derick Hall enter the store. She also noticed Lyons outside the store. After Lytle left the store, she heard three gunshots. She saw Lyons run out of the store with gun in hand. Hall later testified that he did not know Lyons planned to rob the store. Hall said that Lyons carried a long barrel .22 caliber gun when entering the store. Hall testified that as he and the Lyons approached the store, Lyons told him that he needed money and that he was going to rob the store. Hall did not believe Lyons was serious, court documents stated. After Victoria Lytle left the store, Lyons entered and told the victim to freeze and turn around. Hall also claimed he obeyed the command in order to demonstrate that he had no part in the robbery. Hall testified that he then heard five shots, and when he turned around, Lyons was gone and the victim was lying on the floor. Hall further testified that the victim was grunting in an effort to speak and that the victim reached up and pushed the burglar alarm before collapsing back on the floor. The next day, Hall voluntarily turned himself in to the police, court documents stated. Court documents indicate that Lyon's lawyer did not offer any evidence during his client's trial. At sentencing, a psychologist testified that Lyons' suffered from bipolar disorder, antisocial personality disorder and substance abuse. "Murder Victim's Family Says Lyons Deserves To Be Executed; Death-Row Inmate Scheduled To Die Friday." RALEIGH, N.C. -- The widow of a storekeeper shot to death by Robbie James Lyons said Wednesday that the death-row inmate deserves to die for the murder. Ramona Stafford said she urged Gov. Mike Easley during a clemency hearing for Lyons, 31, to uphold the execution by injection scheduled for 2 a.m. Friday. Attorneys for Lyons said they are relying solely on the governor for clemency and have no plans to file court appeals. Easley has the authority to commute the death sentence to life in prison. Lyons would be the seventh inmate executed this year, the most in North Carolina since 1949, when 10 were put to death. Stafford said she told the governor the death of her husband, Stephen Wilson Stafford, on Sept. 25, 1993, took away a good husband and father to her children. Lyons confessed to shooting his victim with a .22-caliber pistol. Stafford's widow said she talked to Easley about "the violence and evilness of Robbie Lyons. "He has no remorse for what he did." A prosecutor said defense arguments that Lyons did not have good lawyers at his trial are incorrect. One lawyer had been the defense in nine other death penalty cases and kept defendants off death row, said Assistant District Attorney David Hall. Arguments that Lyons was mentally defective also are not true, Hall said, pointing to Lyons' IQ of 110. "He's an extremely bright man," Hall said. "This is an extremely violent man. He's been violent his entire life. He continues to be violent in prison." Defense lawyer Ernest Conner said Lyons had 50 infractions against him at Central Prison in Raleigh. But he said Lyons was not violent, although he would react if challenged. "He's not stabbed anybody; He's not cut anybody," Conner said. In the latest infraction, the lawyer said, Lyons was put in solitary confinement after hitting a guard in the eye. But Conner said that happened when Lyons was upset after being informed of his execution date and then a guard pushed him. Conner and co-counsel Kirk Osborn said the fact that they did not file court appeals because rulings since 1996 have made it more difficult to raise issues that were overlooked earlier in a death case. Courts have "been tightening up since the 1990s," said Conner, who plans to watch the execution. "That makes clemency more important." Stafford's daughter, son and widow also plan to watch the execution. "It's really not an execution anymore," Ramona Stafford said. "They're sedated. He should die the way his victim died." RALEIGH, N.C. (AP) — A North Carolina man was executed by injection Friday while the widow and children of his victim, a storekeeper murdered in 1993, watched him die. "If my death brings another person happiness, then I'm happy for them," Robbie James Lyons, 31, said before lethal amounts of drugs hit his system, putting him to sleep before stopping his heart. Lyons was sentenced to death in 1994 by a Forsyth County jury for the pistol slaying of Winston-Salem storekeeper Stephen Wilson Stafford, who was killed about 2 p.m. on Sept. 25, 1993. He was the seventh inmate executed this year in North Carolina, the most since 1949 when 10 people were put to death. Prosecutors said Lyons came into the store and fired four times with a .22-caliber pistol, hitting Stafford three times, once in the back. The Stafford shooting was the third event in a crime spree that included two armed robberies, said Assistant District Attorney David Hall. Defense lawyers said Lyons wasn't a violent man, but suffered a personality defect and didn't have good legal representation at his trial. Lawyer Kirk Osborn compared the execution to state-sanctioned murder. But widow Ramona Stafford — who watched Lyons die along with her daughter, son, brother-in-law and current husband — said despite laws limiting death row appeals she would like to see executions happen quicker. A more streamlined process would help families of victims cope with their loss. "I do not have to be in court anymore," she said after the execution. "I do not have to read briefs. I don't have to hear about the defendant's rights." Stafford said defense statements that her husband wasn't killed intentionally were false. "When this individual came barging into our store shooting a gun, all my husband had to defend himself was his hands," she said. "The death that Lyons had tonight was a painless one. I think of my husband's death and it certainly was not painless." Defense lawyers didn't file last-minute court appeals, relying instead of a clemency petition to Gov. Mike Easley. The governor rejected the clemency request, saying he found no reason to reduce the sentence of Robbie James Lyons to life in prison. The Rev. Jesse Jackson had sent Easley a letter urging clemency for Lyons. Jackson said Lyons suffered frequent beatings as a youngster and at an early age was forced to drink alcohol, smoke marijuana and use crack cocaine. Easley met with lawyers for Lyons as well as prosecutors and Stafford's family on Wednesday to hear arguments for and against clemency. Lyons' last meal consisted of a pizza and lasagna, prepared according to Muslim dietary rules, and a Pepsi.